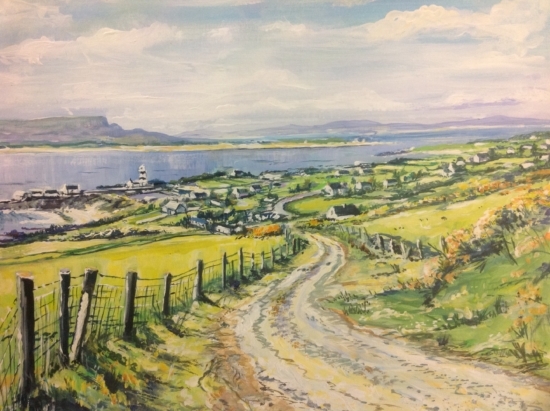 Shrove artist George Gillespie is officially opening his own art studio in Shrove, Greencastle this weekend. Atlantic Villa Studio opens from 12.30pm until 6pm this Saturday 24th and Sunday 25th March. George hopes the studio will provide an “opportunity for visitors and locals to drop in and take a moment to reflect on our beautiful area”. The studio is a purpose-built extension to his family home, right next to the Inishowen Head Loop Walk, and above Shrove Beach. The seaviews from the studio are breathtaking! A Shrove native, George worked as an art teacher in Newcastle for most of his career. 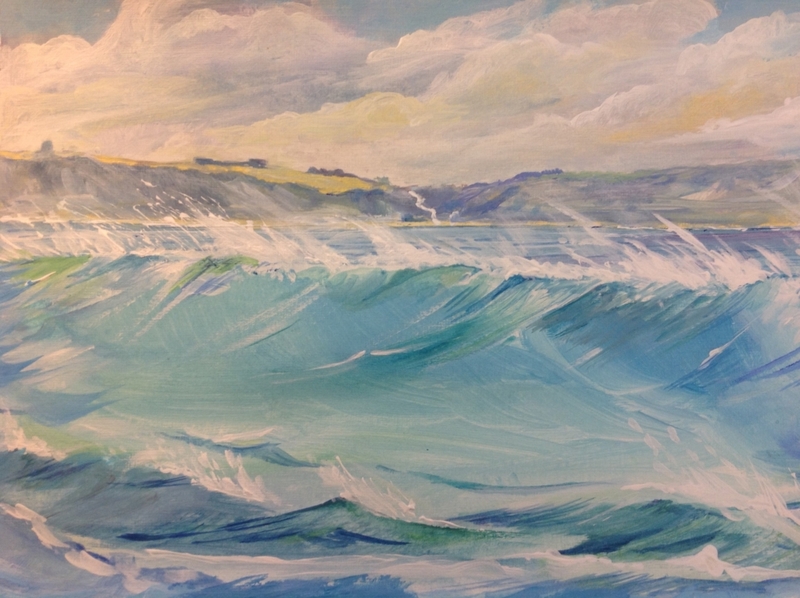 He specialises in Painting and Ceramics, but Shrove and the sea have always been a huge inspiration. He returned to live in Shrove in 2012 with his wife Cathy, and the area has inspired most of his recent work. His current exhibition embraces two main themes: Broken Boats and Shrove. He works mainly in acrylic and watercolour. However, he admits that he “does like to mix things up by exploring different forms including mixed media and 3D elements”. He plans to develop larger pieces and add ceramics to his current studio work in the future. After a Secondary Education in Derry, and a Degree in Art and Education in Newcastle, George had a long career in teaching on Tyneside, specialising in painting and ceramics but also delivering a broad range of art practice to a wide age range of learners. He worked with a variety of galleries and artists on many collaborative ventures. He spent many years as a Department head and a mentor for Initial Teacher Training. He also taught adults as well as children as part of his Community High School remit. He takes considerable pride in the inter-generational work he helped produce during his career, including public sculpture and regeneration in North Shields. He made important contributions to community festivals, Tall Ships, Fish Quay Festivals, The International Ferry at Port of Tyne. He also worked with Galleries including The Baltic Gateshead, Hatton Newcastle, and with many artistic collaborations. He led a British Council Arts Delegation to St. Petersburg. He is a life member of the National Society of Education in Art and Design NSEAD.